How to generate picking or packing list? Make sure that you disabled pop-up blocker for EMERGE App on your browser. 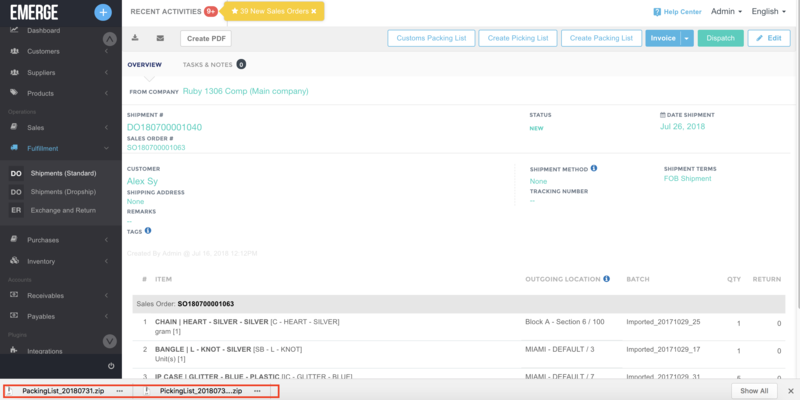 Go to Shipment listing page, select the Shipments and click on "ACTION" button. choose to create Packing List/Picking list. Then download them to your computer as *.zip file, unzip and you'll get the excel files + PDF of packing list and picking list. 2. 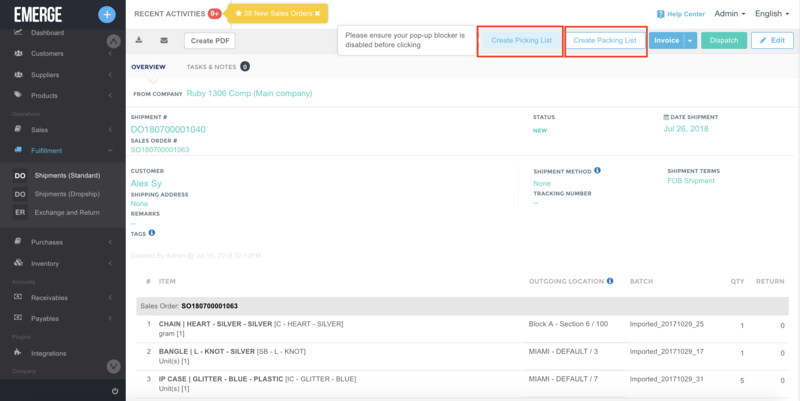 Go to a Shipment, click on "Create Packing List" or "Create Picking list". Then download them to your computer as *.zip file, unzip and you'll get the excel files of packing list and picking list.